A Golden Rooster on a black background with gold chicken wire design makes a beautiful statement. 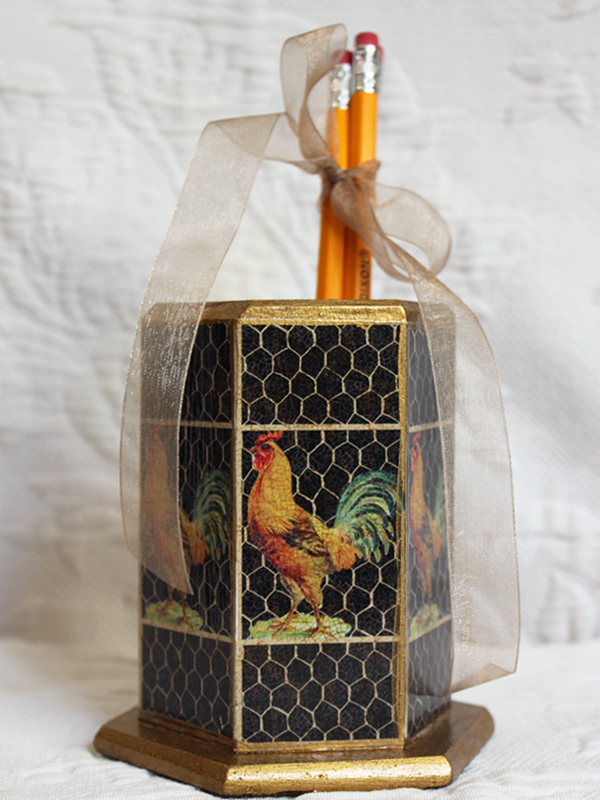 Each side of the 4.5 inch tall wooden pencil holder features the same design. Perfect for pencils, pens, makeup brushes and more. Each decoupage holder is made to order and is signed by the artist. Free shipping in the USA. 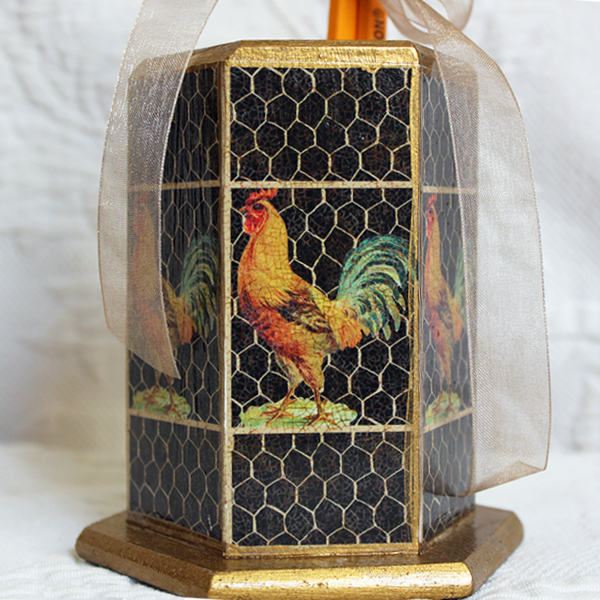 Make it a set with a matching Golden Rooster Tissue Box Cover.